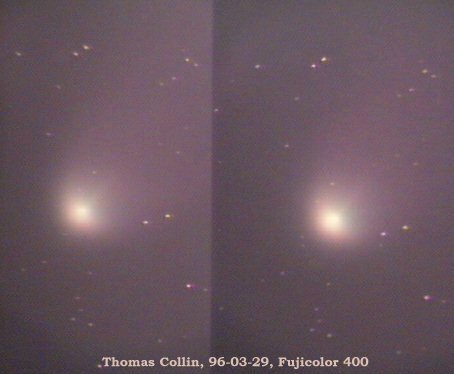 These pictures taken approximately 10 minutes apart show the mouvement of the comet. They were taken at the prime focus of a Dynamax 8 on March 29. They were taken with a gibbous moon high in the sky. The film used is Fujicolor 400 and the exposure about 2 minutes at f/10.